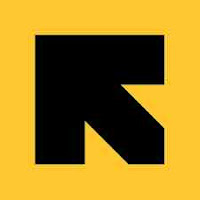 The International Rescue Committee responds to the world's worst humanitarian crises and helps people to survive and rebuild their lives. Founded in 1933 at the request of Albert Einstein, the IRC offers help to people whose lives and livelihoods are shattered by conflict and disaster to survive, recover, and gain control of their future. IRC is currently working in Tanzania providing mental health and psychosocial support services as one among many other programs including education, Reproductive Heath, Women Protection & Empowerment and Child Protection in Nyarugusu, Nduta and Mtendeli refugee camps all in Kigoma region. As of 31 October 2018, Tanzania host 288,722 refugees and asylum-seekers, mainly from Burundi (203,781) and the Democratic Republic of Congo (84,320) and others (621). These Terms of Reference relate to the training of trainers (ToT) for Interpersonal Psychotherapy for groups. The primary goal of IPT-G ToT is to equip the MHPSS counsellors who were previously trained on IPT to train others as well as better implement group interventions for Depression. With an additional number of IPT trainers available, the IRC will be in a better position to cascade the training to other MHPSS actors from different organisations in the camp thus reaching out to a bigger number of clients suffering from depression which is the leading mental health disorder across the camps. The IPT-G ToT training will be provided by an experienced and certified IPT-G Trainer. The candidate should have a concrete background and experience in conducting such training. The consultant will be responsible for assessing the capacity and the quality of the IPT trainees, develop a supervision and follow up plan for the team and prepare a final report on the IPT training as well as what needs to be improved for the current implementation of IPT-G.
Six (6) working days will be required of the consultant. This will include the 5 days for training and 1 day for report writing. What are the current gaps in the existing of IPT sessions/groups in terms of quality, documentation and supervision? How best can the ToT be cascaded to other MHPSS actors and incentive staff (if possible?). Clear recommendations for any identified gaps, strengths and other key issues that would lead to project adjustment or future design considerations. ToT Certificates should be given to participants from a recognised IPT-G Body (not a certificate of attendance). A final report refined to address comments and feedback received from the team during the validation / review workshop. The consultant /institution should submit a technical and a financial proposal and is expected to demonstrate that it has a track record of not less than three (3) years of experience executing similar assignments. Past Performance: Applicants must prove that they have enough experience in assignments comparable with the work they are bidding for in terms of scope and complexity as specified in section 6 of this TOR and proven experience in conducting search assignments.